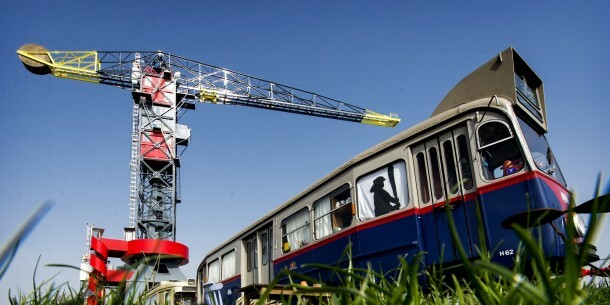 Would You Stay In This Old Crane That's Converted Into A Luxury Hotel In Amsterdam? 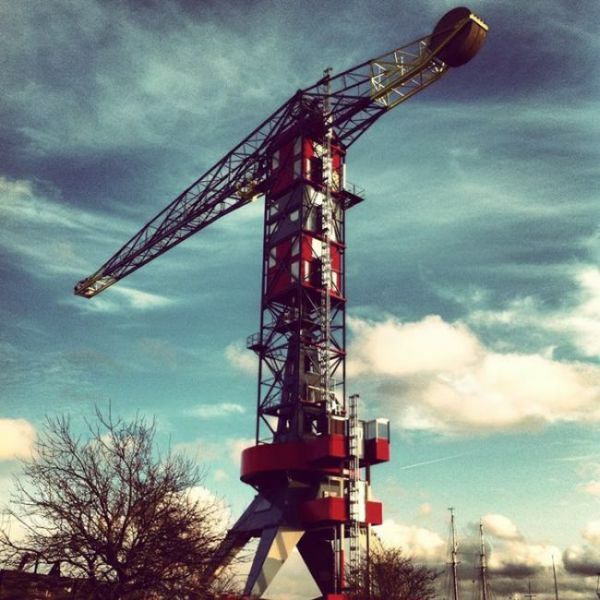 Would You Stay In This Old Crane That’s Converted Into A Luxury Hotel In Amsterdam? 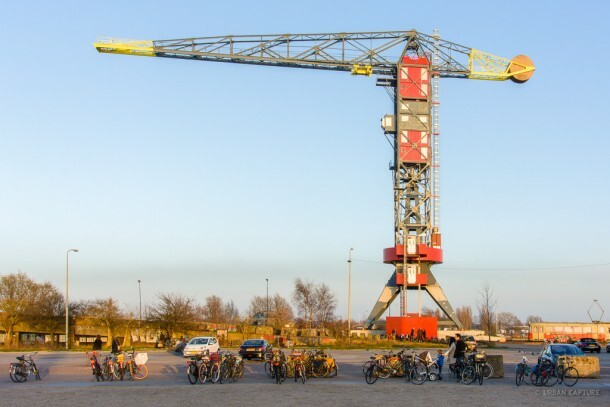 Architects from a number of Dutch companies came up with the decision of getting together and doing something about this old and huge crane that weighs 250 tons and is about 50 meters in height. 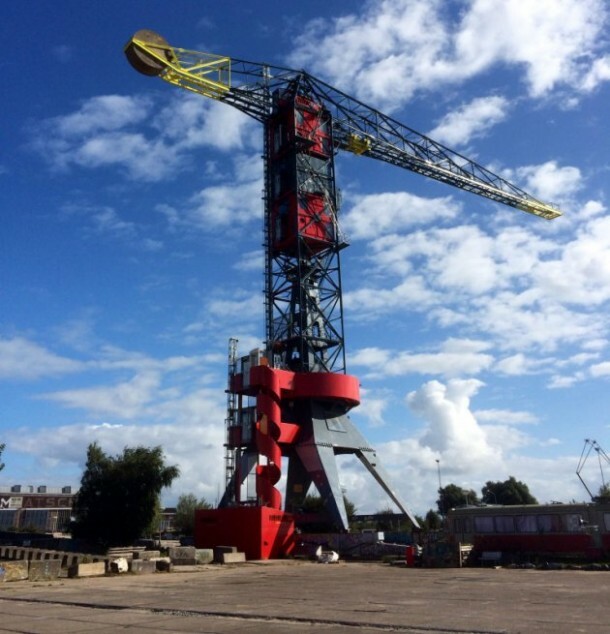 The maritime crane was decades old and qualified as one of the world’s highest and oldest mechanical structures. 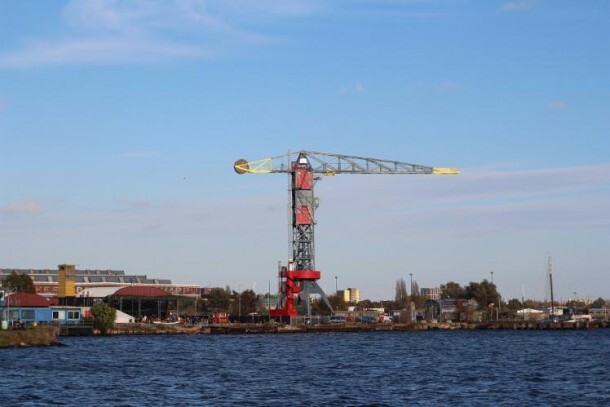 Present in Amsterdam, the crane was almost faded away when the team of architects got together. The whole project was looked at with skepticism and in fact labeled as ‘technically impossible’. 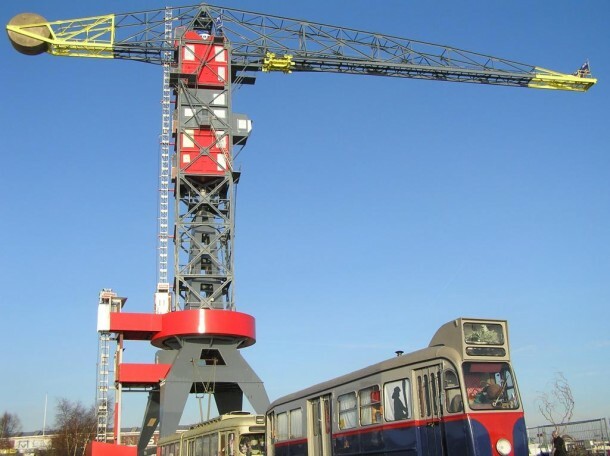 However, the team still took on the task of transforming the old crane into a hotel. The project was nowhere near easy and the team had to come up with new foundations owing to the fact that the quay of the old wharf was no longer strong enough. The developers spent about one million dollar on the construction of each room and the structure was embedded with a thrust made from gold that allows each suite to rotate with the wind. The construction took 3 years to be completed and the crane transformed into ‘Hotel Faralda’. The hotel has been named after a Dutch heroine, in case you’re wondering. It is located at the NSDM site on the banks of River Ij. 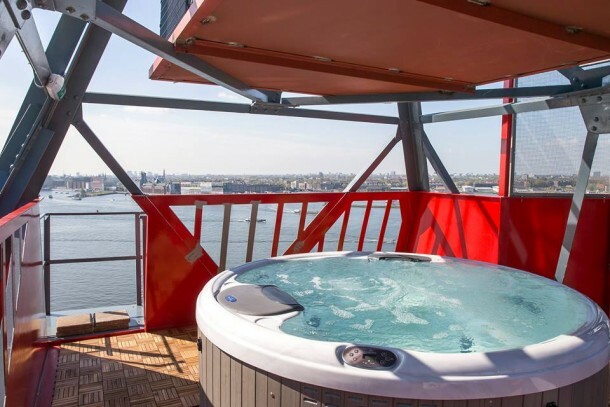 The hotel is enjoyed by elite guests from all over the world and allows the guests to get a panoramic view of Amsterdam and the river. It also offers deluxe dining and a private business club for corporate events. 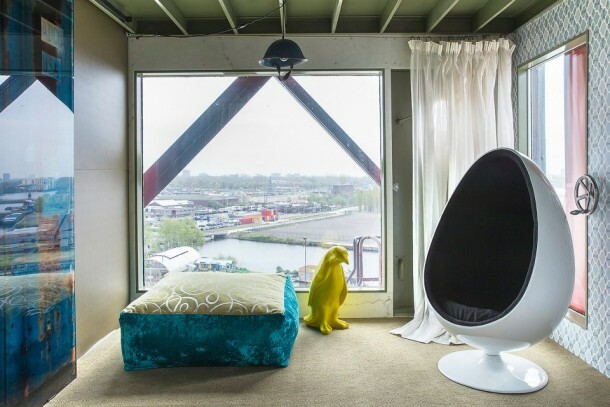 One of the suites (35-sq.meters) has been built in the old engine room and still has its peculiar industrial ambiance, whereas the other two have been given glass facades with an amazing view of the harbor. The crane even has a TV studio that is employed for music promotions and high-profile television. One night’s stay will cost you $500 and considering the experience it promises you, we’d say the price isn’t too much. So, what do you think?